proVITAMIN refill puts a premium quality GM synthesizer into your Reason rack. 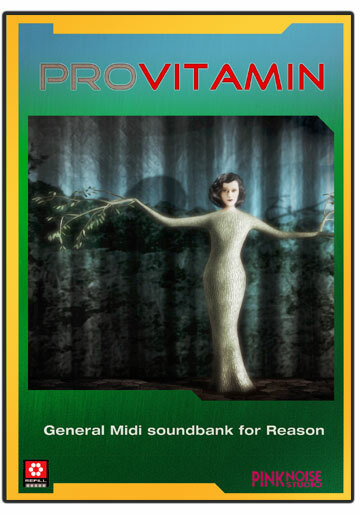 Like our body needs vitamins for normal operations, computer musicians might also need a good quality General Midi soundbank. You can use any standard GM midi file, and by using the Reason song template that we have included you can properly map the instruments to the tracks in a few seconds, and it will sound perfect. The new updated MKII version provides more non GM patches, more accurate GM instruments and better sounds. Nevertheless you can use the soundfont edition of proVITAMIN (also included) in other soft samplers as well that support soundfonts.